Firefox Student Ambassadors are individuals who are passionate about Mozilla, the open web, and the many benefits of Firefox and its products.. They are a global pack of do-gooders and dedicated defenders of the Web! Creative and resourceful, FSAs lead campaigns and projects at their colleges and in their communities to encourage others to contribute to the Mozilla mission and utilize our products. 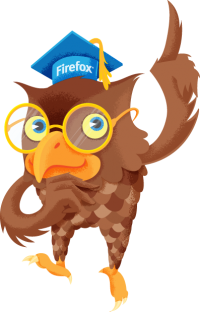 Not just that, Firefox Student Ambassadors are web educators and strives to keep the power of the Web in hands of users everywhere. Student Ambassadors are given the opportunity to learn new skills, earn recognition, and advance their leadership in not just the Mozilla community, but in their school and local community. Sure we're called Firefox Student Ambassadors, but there's a lot more to us than meets the eye. While our Student Ambassadors promote our products, they are also on a mission to promote openness, innovation, and opportunity on the Web. They throw events teaching people how to code, build apps, and create awesome things online. They are web educators and seek to help people of all age and race. We know we're up against billion-dollar giants, but our Ambassadors are here tackling new challenges daily to fight for your privacy and for an open Web. We don't control our ambassadors, we empower them to do good and to go above and beyond. Firefox Student Ambassadors have a purpose, a mission, and a whole lot of heart! Each day this program grows and we become closer and closer to changing the world. What are you waiting for? Become a Firefox Student Ambassador today! Join here. This page was last modified on 22 January 2017, at 14:04.